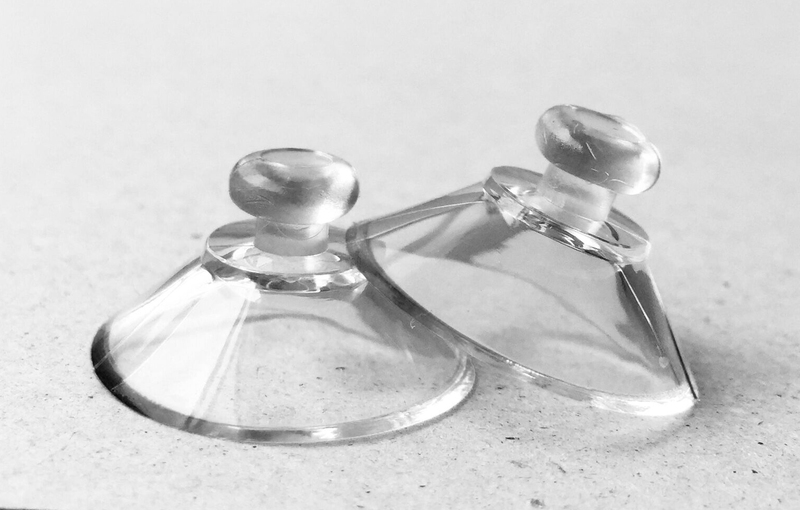 The Stud suction cup Suckers are made from clear PVC and are available in 2cm, 3cm and 4cm diameters. Can you detach part of the suction cup? No, the Stud Suction Cup is just one solid piece. How many suction cups are in each pack? The suction cups are sold in packs of 100. We also have Thumb Turn Nut Suckers available for an alternative solution.